Home → Blog → There is champagne, and then there is Krug….a tasting in Dublin. 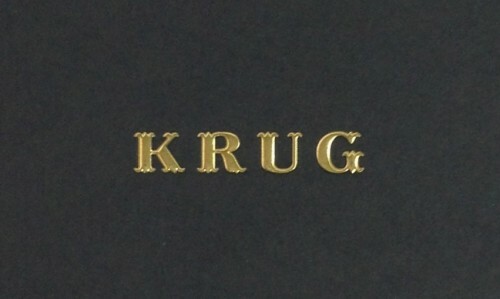 There is champagne, and then there is Krug….a tasting in Dublin. Me and Krug go back a long way. My first wine job was with Mitchell & Son, who had previously been agent for Krug in Ireland. They still had a little stock remaining. I squirreled away a few bottles of the Grande Cuvée and a two of the 1979 vintage, the last of which I cracked open when we finally succeeded in buying a house some fifteen years later. It was magnificent, but then they had all been magnificent; full-bodied rich complex Champagnes. 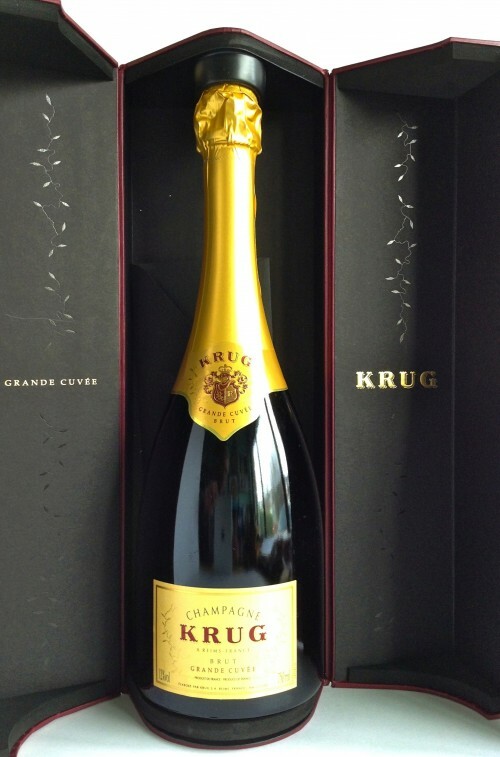 A few years later, when we lived in South Lambeth, then a rather edgy part of London, I discovered that my local off-licence, which specialised in out of date beer, had a small stash of ½ bottles of Krug Grande Cuvée for a bargain price of £10. I tried one out and then bought one every few weeks as a treat before Friday night dinner. I eventually opened the last ½ bottle when my son was born and dabbed a drop on his lips. He will always be able to boast that Krug was the second thing he drank, after his mother’s milk. And so to a Krug tasting held in Dublin last month. It was tutored by Swiss/American Jessica Julmy, a very bright articulate women, who is Head of Business development for Krug. She pointed out that Krug is the only house that only makes prestige Champagnes, and also that there is no hierarchy in their Champagnes. The considerable differences in price are down solely to rarity and not quality. Sadly we did not get the opportunity to prove this as we did not taste the two single vineyard varietal wines, the Clos du Mesnil (Chardonnay) and Clos d’Ambonnay (Pinot Noir), which cost in excess of €500 and €1,500 respectively – a bottle! There is no doubt that Grande Cuvée is a lovely Champagne; elegant and refined, with a very fine mousse, flavours of toasted hazelnuts, brioche, citrus, and peaches. The finish is restrained but long. I like it a lot. However, I suspect that it is not as rich or powerful as in the past. Possibly I was fortunate enough to taste mature bottles on the rare occasions when I drank Grande Cuvée, but I have memories of a bigger style. I questioned Olivier Krug about this a few years back, but he said the style has not changed. Jessica Julmy said there had been ‘a nose-dive in quality’ at one stage, but this had changed dramatically with the arrival of winemaker Maggie Henriquez. We tasted the Grande Cuvée alongside a bottle of 2000 Recreation, an aged version of the same wine, recovered from a cellar in Europe. This was my favourite wine of the day by some distance; a palate-enveloping honeyed, wine with complex toasted nuts, that opened out beautifully. Sadly it is not commercially available, but it does demonstrate the value of laying down Grande Cuvée (I am a big believer in laying down any decent Champagne for a year or two). Every bottle of Grande Cuvée now has a unique identifying code on the back label, showing the bottling date, which allows consumers to access full information on the wine – there is even an app with access to the Krug database; very useful if you want to lay down a few bottles. Grande Cuvée represents 80% of production and Krug do one bottling per year. It is now house policy to have two vintages on the market at the same time. We tasted the two current vintages, 2003 and 2000. The 2000 was majestic, rich and concentrated with toasted hazelnuts and brioche; different but to the Recollection 2000 above, but a very impressive wine. ‘A motorway of a wine, compared to a winding road (the 2003)’, according to Jessica Julmy. If so, I prefer an autobahn, as I found the 2003 less satisfying. We finished with the delicious crisp subtle rosé. It was great to taste the Krug Champagnes after a gap of a few years. This house (now owned by LVMH) is painstaking in its efforts to produce the finest Champagne. They are responsible for less than 0.2% of total Champagne so they will always be expensive; the Grande Cuvée sells for around €200 in Ireland. I have one bottle of the Grande Cuvée in my collection that has lain there for 3-4 years. All I need now is a good excuse to open it!